Jungle Red Writers: Tis the Season of.... Good Smells. Tis the Season of.... Good Smells. RHYS BOWEN: Just as we are recovering from Thanksgiving the holiday parties start. Food, food and more food. Why does celebration have to revolve around plates piled high with calorie-laden food: pumpkin pie, whipped cream, corn bread stuffing, mince pies, chips and dip? Not that I don't love it, but by January first I regret it deeply. So I'm wondering if I'd get just as much pleasure if I invited people over for an evening of conversation and holiday smells. I love the scent of spices and fresh pine branches and holiday breads baking. For me they say Christmas more vividly than any actual food. Last year I bought a big candle that filled the house with a pumpkin/cinnamon/cloves sort of smell. It was a perfect way to welcome guests. It's funny how evocative certain smells are to us, isn't it? The smell of a camp fire in the forest, of bread baking, they conjure up some kind of primeval feeling of security that must be in our genes. When I teach writing classes I always stress bringing a scene alive with the five senses, especially the scent of smell. I can think of a couple of smells that whisk me straight back to a time and place. The first is chlorine from an indoor swimming pool. A strange choice, you might think. But when I smell it I start to crave cheese rolls. There is a reasonable explanation for this: when I was a teenager my friend and I used to go swimming once a week at the indoor swimming baths. The water was freezing and afterward we were so cold that we went to the cafe next door and had a cheese roll and hot chocolate. That roll was perfect--crusty fresh bread stuffed with sharp cheddar cheese.It's a pleasure I enjoy replicating. Another smell that takes me straight back to a time and place is my mother's sewing box. My father had it made for her--it opens in layers with room for all her sewing needs. I brought it back from Australia after she died and when I need any kind of sewing tool, it's probably in that box. I open it and instantly I'm back in my parents' house in England--that old smell of damp and furniture polish. Now I put my nose deep into the box and breathe deeply, taking myself home again, if just for a second. So I'm curious to know, Reds: are there any smells that are evocative to you in the same way? HALLIE EPHRON: Smells are so evocative. My mother used Elizabeth Arden skin cream and it had a distinctive tangy orange-blossom smell. When I got home from school, I could tell if she was home by whether or not the house smelled of cigarette smoke. And I confess, I pick laundry detergent by its smell. GAIN wins by a mile. LUCY BURDETTE: Oh Rhys, those cheese rolls sound like heaven! But I don't think a party with good scents but nothing to eat would be very satisfying:). 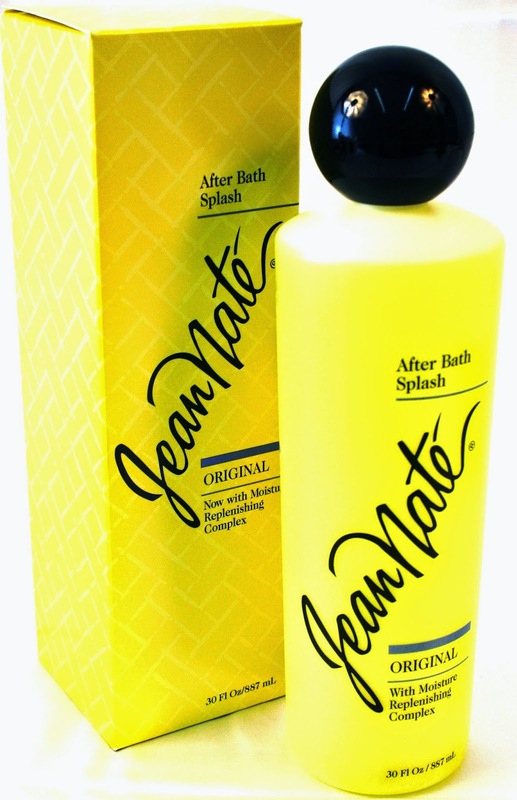 As for smells that take me back, my mother wore Tweed perfume and Jean Nate after-shower spray. I don't see either of those around too much any more, but they come with distinctive memories. And the other day I was riding my bike home from the gym and passed the MARC Plant Store on Seminary Street. Oh my gosh--the scent of pine needles screamed "Christmas." I smiled all the way home. HANK PHILLIPPI RYAN: Hallie, was it Elizabeth Arden Visible Difference? I used that, too, in the 70's. And when I smell it now, it brings back so many memories of those days in Washington DC! At one point they threatened to discontinue it, and I bought a whole slew of it. When we went to Sunday School, all the ladies at temple wore Youth Dew--my sister and I would pretend to gag, so now I laugh every time I smell it. (Sorry, Estee Lauder, it smells...matronly.) Before my Mom died, she (unbeknownst to us) put together boxes for each of us kids of all the stuff of ours she'd saved--school papers, and photos, and clippings, souvenirs and memorabilia. She taped up the boxes, and had them shipped to each of us. When I opened the box, I got a whiff of--I don't even know what it was. Perfume, and home, and Mom, I guess. I keep the box tightly closed now, and sometimes flip it open to sneak a bit of the fragrance. 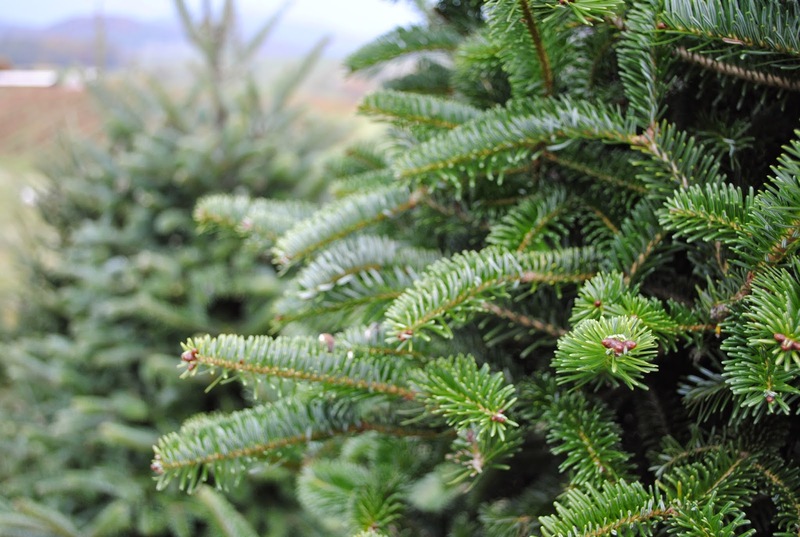 SUSAN ELIA MACNEAL: In New York City, people come and sell evergreens on city sidewalks. One minute, you're in the city, and the next you're transported to a forest of pine trees in Maine. The smell is absolutely delicious. One of my absolute favorite things about the holiday season in the city. RHYS: So how about you? Is there one particular scent that is evocative for you? And tomorrow we're celebrating the launch of Red Lucy Burdette's new Christmas book. Don't forget to check in and find out all about it! 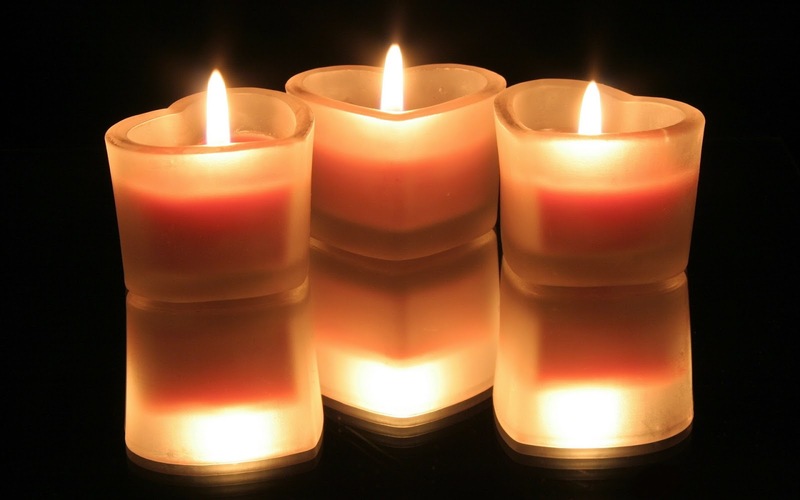 I love scented candles, the smell of logs burning in the fireplace . . . the scent of dusting powder always reminds me of my mom . . . .
Baking bread, aside from being a comforting smell, always takes me back to my childhood when we would come home from school and find Mom baking bread, filling the kitchen with heat from the oven and the house with the wonderful smell. [It meant the furnace wasn't working, again.] We'd each get a thick slices, still warm from the oven . . . . Smells are truly amazing for taking you back. My mother wore Woodhue when she went out, and I still have a bottle with just a trace in the bottom that I take a whiff of now and then. But when I smell cigarette lighter fluid, I'm suddenly at my grandmother's side. She had a fancy silver lighter that she used (and a cigarette holder, too, like all her sisters, my great-aunts). But scented candles? Ack! Can't do it. Can't breath around them. I was at a wine tasting and craft fair yesterday (sold tons of books!) right next to the scented candle vendor. Bad placement. Luckily, none of them were burning. Sun-warmed pines transport me to the Rocky Mountains every time. Chanel No. 5, my mom. Hot chocolate--coming home after school to a big pot warming on the stove. So many scent-triggers: cherry pipe tobacco--my dad. Oh gosh, Joan is reminding me... For the longest time every time I opened my china cabinet this disgusting (to me) funereal smell wafted out. I thought I had a dead mouse under the floor boards. Turned out it was a beautiful big fat scented candle ... I threw it out but the darned cabinet has residual odor that still outgasses when it's really warm out. Also, I bought a cabinet at a rummage sale and could not get the candle scent out of it-- tried washing it with bleach water, vinegar, baking soda in a small dish (which tipped over-- the clean-up was not fun!) but nothing worked. Even tried leaving coffee beans in it. What finally worked: cardboard or crumpled newspaper, replaced after a day or so, till the odor goes away. My dad used to give my mother Elizabeth Arden Blue Grass for Christmas every year, so a couple Christmases ago I gave her a bottle and when she sprayed a little it brought back a flash of Christmas memories that included my dad. The other fragrance that touches me deeply are the smells that start drifting into the car windows as we get closer to the coast and the beach. Such great scent memories. And yes, scents can transport us like nothing else can. My grandmother wore Chantilly, and even today, just thinking about that powdery fragrance can still make my feel her soft arms around me. Similarly, my mother's purse when I was a kid smelled of Doublemint gum, always, and she had a particular air-conditioned/perfumey fragrance when she came home from her office job every weekday evening. Susan, I traveled to NYC in the mid-70's for my job as a dress buyer for a specialty shop. This time of year there were chestnuts roasting in charcoal braziers, and I can still smell them, if I think of New York in the winter. Scents I like include pine (gotta have a pine candle for the holidays), cedar (reminds me of my grandmother's closet), vanilla, and baked goods. I don't remember my mother having a scene, but my dad smoked (still does) so I always knew when he was around too. Another favorite: dry, dusty autumn leaves. My college in the fall, just, wow. Surrounded by hills of fiery color and that dusty leaf scent. I love autumn. Another one that brings me back: salt air. Sitting on the beach in Puerto Rico, looking at the blue water, the sound of gulls and waves, my toes in the sand. Oh, and new baby. Wish you could bottle that one. Don't want another baby, but the smell takes me back to bringing mine home. Sigh. Sometimes, when I'm out of the city, I catch a dry grass scent. It is hard to describe but it's the result of hot Texas summers. When I smell it I am transported back in years to my grandparents' ranch in north central Texas. Throw in the sound of a mourning dove and it's complete. And gardenias. . . For years we lived in Ohio and Minnesota. All I needed was the scent of a gardenia bloom to toss me back to Texas and Louisiana. Sun screen always takes me to the pool and makes me want to go for a swim. The biggest thing I miss about my artificial trees is the smell. But I don't miss the rash my hands get from decorating it. Oh, Karen, roasting chestnuts! For me, that's London, Covent Garden!!! I LOVE the smell of fresh tar! During my first week in college as a freshman, the road in front of the apartment building/dormitory where I lived was being repaved. In addition, the building was brand-new. It was exciting to be away from home, meeting new people, living in a new building, walking to and from campus along the freshly paved road. Whenever I smell fresh tar, I get a feeling of hope and excitement! And I love the smell of lavender. One set of grandparents frequently gave me Yardley's English Lavender products for birthdays and Christmas. The fragrance is a refreshing reminder of the good times I had at their home. Scents are such wonderful memory carriers. My mother used Estee Lauder Youth Dew, so that's my perfume scent for her. But, the favorite scent I have is of a rump roast cooking in the oven when I would get home after a long day of school and activities during high school. A favorite scent from growing up is honeysuckle. It takes me back to riding in the car during the early evening with the windows rolled (yes, rolled manually) down. That smell permeated the air and surrounded me when it entered the car with a home-sweet-home smell. Debs, when my daughter and I were in Union Station in D.C. some years back, we discovered the L'Occitane shop there, and she has loved the L'Occitane Shea Butter body cream ever since. I enjoy scented candles, especially the ones around fall and Christmas time. Certain smells take me back to my teenage years. Coconut invariably makes me think of that Hawaiian Tropic suntan oil we slathered on as soon as it got above 60 degrees (in Oregon). And there is a certain dusty smell that reminds me of the avocado green shag carpeting in my bedroom where I sat on the floor to do jigsaw puzzles on a board. I haven't smelled Love's Baby Soft in ages but that would really zing me to my early teens! My mom did the same thing - stuffed envelopes for each of us of all that stuff she had saved. Beloved scent is that of a freshwater lake. I live halfway between a river and Lake Michigan and sometimes I can smell that freshwater scent if there is a coming rain. (Am I the only one who can smell rainstorms coming? Or snowstorms? NOT the same scent at all.) I'm pretty sure everyone can smell fall coming just before the leaves start to turn. Fresh earth, too. But the smell of that lake! Freshwater smells different from salt water (I like them both). And then there is the smell of Florence, Italy, in the summer-- diesel and espresso and lemon. Whatever is growing or blooming builds on those scents, but the base notes are where you are-- desert or plains or seaside or tropics-- or bodies of fresh water (and the freshwater on a coming rain). Hi Rhys! When I go home to Marin, here are the smells that make me swoon: Eucalyptus, anise (the dry grass smell in summertime), sea salt+fog, and it if happens to rain: wet sidewalks (which do have a special smell in sundrenched climates). Yes, MArk, Sunscreen! Coppertone, or Bain deSoleil. I am instantly happy! And it's instantly summer. And the smell of sautéing garlic and onions--except when it permeates my clothes. Oh, yes, Ellen the coffee bean trick! That usually works..
the real vitabath with elixir of horse chestnuts. When my kids needed a lift, they asked for "Mimi's (grandma) magic bubbles. When I visited my aunt a few weeks before she died, I went to kiss her and found myself inhaling her __ I wanted to smell her and have her in me! It was an unconscious, visceral need. There are wafts I get that bring me to my grandmother's house. I don't know what the elements are, but I have met up with it. I like all my products unscented though, including candles. In one of his essays (“What Do Our Hearts Treasure?”) E.B. White writes of having to remain in Florida one Christmas and having his son and daughter-in-law send a package of balsam fir branches to them. It was the scent of Maine in Florida for the Whites. I thought this such a lovely idea that for years my husband and I sent our mothers (in retirement homes) balsam arrangements so they could have the smell of Christmas. Ellen, I can sometimes smell a thunderstorm before it arrives. I used to be able to smell salt water but having lived a few blocks from the beach for many years now I think the salt water smell is just part of the background smells for me. I miss it when I'm away, though! The smell of fresh strawberries transports me back to the strawberry patch my grandparents had in their backyard. No strawberries I eat today measure up to the ones my grandparents grew! I have some Yardley perfume - magnolia. It came with a soap. Luckily you don't have to go to London to buy Yardley. I don't really like lavender. I have some Avon lavender sleepy time bubble bath. What I like best about it is that it makes lots of bubbles. I have some old Jean Nates, a set I bought years ago. There are three: one's pink, one's blue, and the other is the original. I think one is floral and maybe the other is a sea scent. I like L'Occitane. They don't have stores around here but I went to their stores out of town in Beachwood (near Cleveland) and in Toronto. Oh Jean Nate - I can't smell it without going back to dance recitals. We wore tons of it, to cover up the Balm Bengay!And my mother had a bottle of 'good' perfume, it was called J'Souvien - I think. It was a quarter ounce and it was in a tiny cobalt blue bottle. She only daubed it on sparingly for special occasions. I would love to smell it again. Never done, Won't Ever do now! A New Years Gift for You! "Is There A Santa Claus?" Mark Pryor--Fly Away With Me To...Paris? London? Our Best Books of the Year. All I Want for Christmas is what?? ?